Sports Costs > How Much Does Main Event Bowling Cost? How Much Does Main Event Bowling Cost? Main Event is a family-friendly entertainment center that offers a host of activities for the whole family such as bowling, billiards, rock climbing, an arcade and dining options. With locations in various states across America, the cost to bowl at Main Event will depend on the day of the week and current promotion being held. How much does bowling cost at Main Event? NOTE: These were just averages gathered from the official website and cannot be deemed accurate. Use these as an estimate. To get exact pricing, we highly recommend the official booking page via the website. This Jacksonville.com article states that at the local Florida location, for example, it can range anywhere from $20 to $36 an hour, depending on the time. Renting the bowling shoes are an additional cost to consider. Depending on the promotion, a shoe rental can cost about $1.50+ a pair. 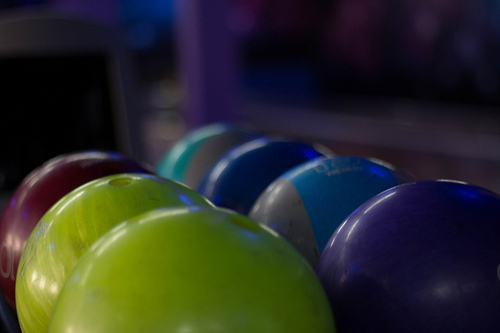 Bowling at all Main Event locations, as per the official website, will include a state-of-the-art electronic scoring system, surround sound entertainment, music videos on HD screens and ambient lighting. Every lane will have its own private seating area where you can either relax and/or enjoy a variety of food/drink options from the bar menu. The club does offer bowling leagues several times per year. Leagues are said to cost $8 a week for eight weeks. Underage guests must be accompanied by an adult after certain times. Refer to the club for more information. Free wi-fi is available throughout the building. Up to six people can use a lane at one time. The venue runs specials occasionally depending on the time of the year. Refer to the official specials page to see what kind of offer you can take advantage of. For example, at the time of this publishing, you could purchase an all you can play pass for $18.95 per person. Follow the official Facebook page of the company as they do post special promotions from time to time. In the past, for example, they posted a $5 Super Bowling special where customers could bowl all day for $5. Consider checking out Groupon.com as the company will advertise special deals during certain times of the year.